SplashMapsTM – we have a product! The latest prototype of our SplashMap (Maps on fabric for the REAL outdoors) is a great final prototype and only minor tweeks needed before it goes to market. Currently the prototype (covering the whole of the New Forest) is under test with the Duke of Edinburgh Award, the Triathalon community and Geocahers, Mountain bikers and walkers. See latest trials here. It’s been scrutinised by family and friends of course, but now we’ve run it past experts in graphic design, web design and business consultants. The map’s been jumped on, stuffed up sleeves, screwed up, rained on, tugged, used to wipe up spills (and later washed)… and that was just at the excellent Southern Entrepreneurs Southampton branch networking event on Tuesday evening! The SplashMap came out of all this with some increadibly encouraging support and a heap of contacts and offers to help us reach the market. I am also confident the product will shake off anything the DOE and Triathaletes can throw at it having tested it many times with my New Force mountain bike friends. Now that there is a priority date set by the intellectual property office (IPO) on our innovative design, it’s time to show the world! you want to make an advanced order… Christmas is coming! 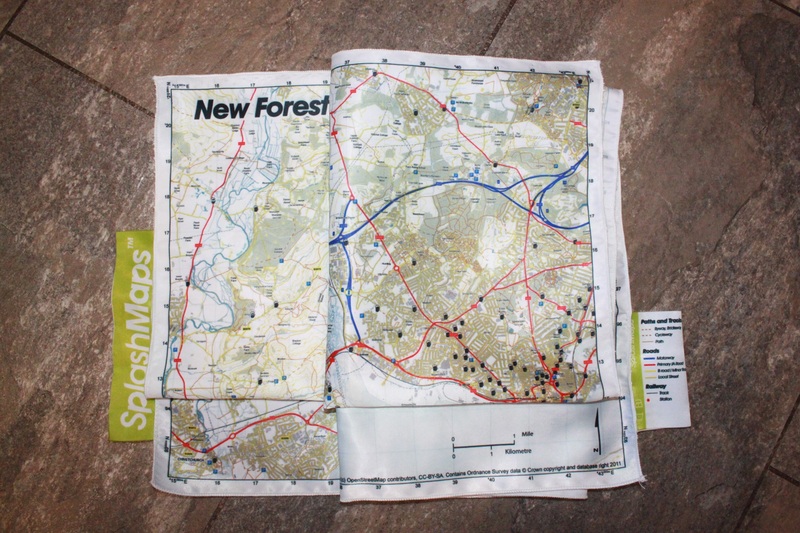 you can suggest contacts organising specific events where a bespoke map printed onto fabric will help in navigation and make a practical memento. Why is dbyhundred involved? We are here to get geographic information into the hands of everybody. In creating this map we have combined the best sources of open geographic data available to demonstrate the value of these initiatives (thank you Ordnance Survey and OpenStreetMap!). We’ve had to create processes for combining sources, refining content and tailoring for specific usages and we have a forward plan to develop and automate new products both physical and on-line and some that bridge the two! Please keep a track of our progress! -tested with 2 bike shops and 1 hire place; all three love the prototype, agree with proposed changes and there’s on going work with these to do! -picked up 2 pre-production orders!